Jupiter Goes Home to Sagittarius. On November 8 Jupiter returned home to the constellation it feels most at home, Sagittarius. It takes Jupiter twelve years to go around the zodiac so it remains in a constellation just about a year. For those with strong Jupiter/Sagittarius influence in their charts – Sun, Moon, ascendant – it is a time for growth, learning and reaching higher levels. Jupiter is constantly pushing us to go beyond boundaries – to see what is on the other side of fence. Set your goals for what you wish to overcome! However, Jupiter is sometimes too big, too ambitious – and can lead to reckless behavior, drinking, gambling and other forms of risk taking. Jupiter-people sometimes think of themselves as too grand, too smart, too invincible. Keep your head on your shoulders! For those with Sagittarius North or South Nodes this period is especially profound. If your North Node is involved this is a perfect time to work at living into it’s positive energies. For South Node Sagittarius people, look at the downside – what can you leave behind? 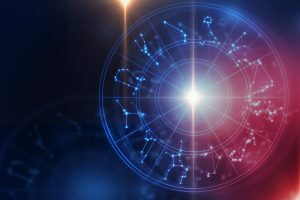 How can you make the leap into Gemini North Node while leaving behind the largess, aggrandizement and prevarications that come from a being too deep into your Sagittarius South. Note: Donald Trump is a Sagittarius South Node. How he will react to this transit? Do you think he will take the route of leaving behind his negatives? Do you, really? Let’s watch and see.